The idea of a spin-off for a beloved television show is always a tricky prospect. To put it in reductive terms, you can end up with a Frasier or The Tortellis. There has always been a sense of desiring more at odds with the fear of diminishing a universe. So it goes without saying that a series order for a Breaking Bad spin-off centered around shady lawyer Saul Goodman will put many at unease. It’s one thing for a sitcom to botch this kind of departure, but for a Great Drama to potentially falter in this manner is worrisome. It’s obviously far too early to bet on the quality of the program itself, though I’ll touch on that in a bit (some facts for those who don’t know: it will be an hour-long show, it is a prequel, and co-creator Peter Gould promised something different than a “laugh-a-minute comedy”). The main thing I’m curious about, in this period where many great shows seem to be on their way out (this year saw/sees the end of The Office, 30 Rock and Breaking Bad, next year Mad Men and How I Met Your Mother leave us) is what it means for a why we fear continuation, and how that fits in the television landscape. I noticed that even my own thoughts on the matter aren’t narrow. In discussing a threatened How I Met Your Mother spin-off with fellow Wine & Pop writer Nico Danilovich, I expressed similar concerns to the ones he brought up today regarding Better Call Saul, though mine were based more on fatigue than legacy. I still love HIMYM, but think one more year is all it needs, and then the story should conclude. Nico’s worries stemmed from characters such as Gus Fring showing up on the new show and ruining their ideal in this new universe. To put it more broadly, he seems to fear unnecessary expansion, potentially harming Breaking Bad elements in the long term. I often find myself standing at two supposed opposites in this particular arena. I both believe that enough is enough (see: Arrested Development) and that a universe cannot be destroyed by its extension. These are far from mutually exclusive ideas, but when discussing spin-offs they can be at odds. 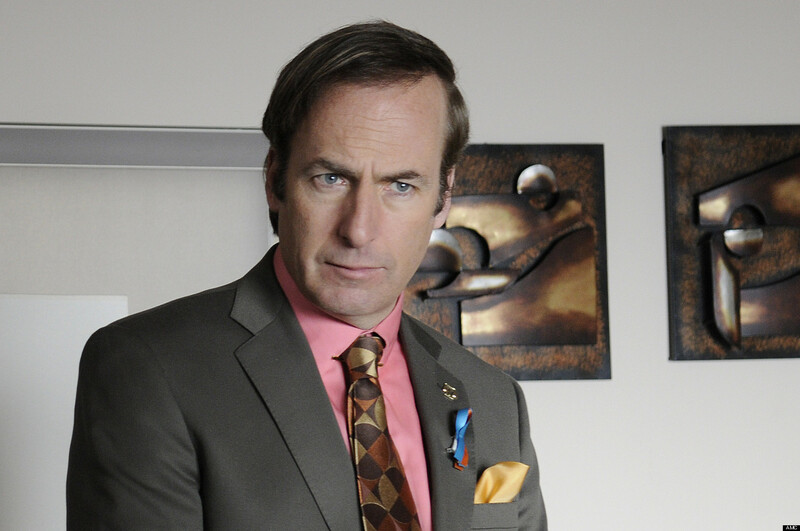 I’m perfectly ok with checking out a Saul Goodman-centered show, but abhor the idea of How I Met Your Father*. In the case of the former, I see potential, and, in the worst-case scenario, Bob Odenkirk on my television more than usual. When looking at a new HIMYM-oriented show, I worry that the breaking point for many has already passed, and I don’t want to be on the disapproving side of that line. So that brings us back to the idea of expansion, and what a piece of art means when it is continued outside of itself. One of the main examples of this in film is the Star Wars franchise. While some of the fan base dislike that the prequels tarnished the “legacy”, others have been emboldened in their love for the original trilogy given their hatred of Episodes I, II and III. When something falters it can serve to remind us of why we like the original product. Taking this to Breaking Bad, it would be upsetting if Better Call Saul were poor enough to make Breaking Bad look even better in retrospect. Even in that case, though, the world of Breaking Bad remains intact. The new, expanded world may break, taking various characters down with it, but those ideas still persist in their first universe. Now, the main concern I appreciate, which brings this back to Arrested Development to a certain extent, is the idea of great creators wasting their time. Though we saw that Mitch Hurwitz stumbled when setting foot outside of AD, the entire team could have reunited for a distinct effort. This too is my major problem with a How I Met Your Mother spin-off: if successful, it traps writers and actors in a potentially tiresome project when they could be making the next great show. Of course, in the heart of all of this is speculation. For all any of us know, Better Call Saul and anything that comes out of HIMYM could be masterpieces. But here we look at intent, and see why the idea of needless continuation bothers us as consumers of television. My main takeaway is that I want creators to form new things, things we couldn’t possibly imagine in universes already constructed (if Vince Gilligan stays on Better Call Saul as a showrunner, it may be some time before we something else from him, such as a return to X-Files science-fiction). At the same time, the idea of a “perfect world” is a little silly, especially in the medium of television. All shows dip at one point or another, and many do so because they are trying something unique. I would hate to see that desire for experimentation get lost in an impossible dream of perfection. Whether Better Call Saul is as good as Frasier or as lost-to-history as The Tortellis luckily will not change the thing you and I are currently holding our breath for, awaiting next Sunday with dread and anticipation. Concerns over legacy are a waste of time. I just want something great, or something ambitious, whatever form that may take. *I do think that the idea of a show from the mother's perspective could have been a fascinating experiment if it was done concurrently with HIMYM, showing unique perspectives in similar subject matter (such as the upcoming film The Disappearance of Eleanor Rigby). But having this, or anything similar, after the fact is just cruel to that poor dead horse.